I’m a great fan of Analdur Indridason’s writing. I’ve read all his books that have been translated into English and I eagerly look forward to the next one. 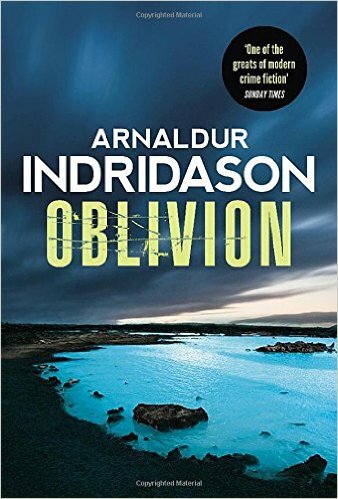 I bought Oblivion and, although I usually go to bed about ten o’clock, I stayed up until one thirty a.m. following Erlendur and Marion. For those of you who don’t know, Marion is an older detective, a mentor to Erlendur. In previous books, I’ve been intrigued by Marion and his role in Erlendur’s life and career so I’m happy to say that since this book takes place when Erlendur is just starting out as a detective, the reader learns more about Marion’s life. Erlendur’s life is complicated. His marriage has broken up. His ex hates him. His son and daughter in the later books are disasters; his daughter is an addict who refuses to be rescued. In Oblivion we get a glimpse of the early years after Erlendur has left his wife. From a distance, he silently watches his daughter on a playground. Not much is said but the passage is full of regret and guilt. It shows Indridason’s ability to communicate emotion tersely so that it never becomes melodrama. The novel, since this is a murder mystery, begins with a death, a body in what will become known in reality as the Blue Lagoon, now a major attraction for tourists. However, when the story takes place the shores are barren and the woman who goes to bathe in the waters to soothe her skin condition is alone when she sees a shoe rising out of the water. Disgusted that someone would throw a shoe into the water, she goes to retrieve it only to find it attached to a body. For the next 345 pages we follow Erlendur and Marion Briem as they gradually fit together the puzzle of the victim’s death. To add to the story, Indidason folds in the story of Dagbjðrt, an eighteen year old who, decades before, had disappeared without a trace. Erlendur had been fascinated with her inexplicable disappearance and, now, with Marion’s encouragement, he begins to look at this cold case. Indridason is expert at fitting together complex puzzles but his novels are made up of much more than tricky plots. He has a genius for creating landscape and mood. Even those readers who have not been to Iceland get to experience the harshness of the landscape, the bitterness of the weather, and the moodiness of the skies. The sense of daily life in and around Reykjavik is captured with place names, short descriptions, the names of food. It is all very bleak, bleaker than I’ve experienced but then I’ve always been there in summer. That bleakness is as much Erlendur’s as it is the landscape’s. In more than this novel, Indridason explores the relationship of the American military and the Icelanders. 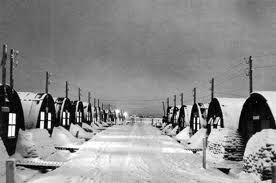 The British occupied Iceland to keep it from being taken over by the Germans during WWII. A year later, the British were replaced by the Americans. Relationships were uneasy. Iceland has a small population, at the time of the war, around one hundred and twenty thousand with forty thousand of those living in the capital city, Reykjavik. 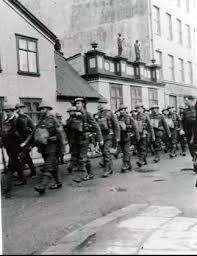 They were overwhelmed by tens of thousands of soldiers, sailors and airmen. Conflict was inevitable. Icelanders were poor. There were serious restrictions on what they could import. The Americans were well supplied with consumer goods: cigarettes, beer, meat, clothes. A black market developed. Indridason does an excellent job of creating the conflict between the occupying Americans and the Icelanders. When I stay up until one thirty in the morning to read a book, it has to be very good. At the same time, I felt with Oblivion that as a reader, I was ahead of Erlendur and Marion with regard to the solution to the mysteries. Part of the problem may be that my devotion to Indridason’s novels comes more from his development of Erlendur and less from the plot. In this book, the two plots are more important than the main character and his mentor. As far as the plot goes, I was disappointed with the appearance of Master Sergeant Roberts. It was a bit like having a shoot out in a Western movie and solving it by having the cavalry appear . However, that is a quibble brought about because when I read an Indridason novel, I expect it to be perfect. It won’t stop me from re-reading Oblivion and reveling in the descriptions, details, clever moves, interesting interactions among the characters. Victoria Cribb has done an excellent job of translating the novel. I highly recommend all the Erlendur books. However, before you read this one, if you haven’t read some of the earlier novels, I’d recommend you buy a couple and get to know Erlendur so you can appreciate these new details about his life. Up at six a. m. yesterday. Into a taxi at 7:30. Off to Jubilee hospital. Jubilee has recently expanded. Got lost on the way to medical imaging. Got lost again on the way to the blood lab. Good thing the’ve got volunteer guides or I’d still be wandering the halls like the Ancient Mariner, a white band on me wrist instead of an albatross around my neck. They didn’t trust me to find my own way to the heart lab. A nice lady said, Walk this way.” But she and I weren‘t built the same way. No matter how I try I can’ make my jello roll. A nurse scooped me up and said put on this blue gown. You ever tried to put on a hospital gown and tie it up at the back? However, there is little chance, at my age, that anyone’s heart will be filled with lust by what the gown reveals. Unfortunately. I passed the time re-reading Indridason’s The Draining Lake. I has my right arm shaved. Interesting, given how hairy I am. In school, the science teacher used me as proof that man descended from monkeys. So that’s what my arm looks like under all that hair. “I’ll find those cowards,” I said and I started clenching and unclenching my fist. p. Nope, no veins here,” they chorused. A nurse came and slapped sticky patches in places I’ve never had sticky patches before. Quick EKG. She gave me a thumbs up. The IV nurse came back. She slapped my arm with her fingers. My veins squirmed deeper. It may have had something to do with me clinging to the ceiling light fixture but she said “If you get back into bed, I’ll give an Ativan. She popped one into my mouth. I was hoping for an entire jar. She brought another hot sheet for my cowardly veins. I kept reading The Draining Lake. It always makes me feel better reading about how depressed and unhappy Erlender is. A fellow with great hair came and said, “I’m going to take for a ride.” He looked Italian. In the operating room, there were a number of people. My veins were still hiding. The op nurse wasn’t fooling around. She said, “I’m going to have to poke you a number of times.” A vein appeared. 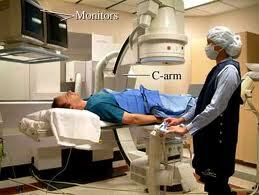 The doctors looked serious and told me about all the horrible things that could go wrong during an angiogram. “Now,” I thought, “why now, with me in a hospital gown that’s open at the back?” I could hardly make a break for it. I waited for a bottle of whiskey like in the western movies before they dig a slug out. Nope. I waited for a cloth loaded with chloroform. Nope. The just froze my wrist. I yelped a bit as the first tube was put into my vein. There were a bank of monitors. I didn’t have Erlender to feel superior to so I watched this probe wandering around my heart. “That’s my heart,” I thought, “the heart of high school romances, the heart passionately mooning over some hot babe, the heart that felt broken and betrayed, that leapt with joy, that frequently got me into trouble?” I wasn’t impressed. When they’d finished taking pictures, we had a meeting. I’d expected to have an angioplasty, you know, blow up a balloon and press the muck against the artery walls. If that wouldn’t work, I figured I’d need a stent. I know lots of people with stents. It’s become quit fashionable to have a stent. People share stent stories at dinner parties. Nope. No angioplasty. No stent. Three bypasses coming up. I’m two months behind when I wanted to be in the Interlake to do my research for my current novel. Three bypasses. People who have had bypasses say everything is great. They golf, mud wrestle, jump out of airplanes. All I want to do is thrash around in the marsh with Dennis and Jim Anderson. Talk to your doctors they said, and think about it, like I’ve got a choice. “Dead men don’t write novels,” I said and I thought about the skeleton in Lake Kleifarvatn. In Black Skies, Arnaldur Indridason’s latest mystery novel set in Iceland, the main character of the series, Erlendur, is still missing. He has gone away for a holiday but has stayed longer than expected. The problem of solving a murder falls on one of his subordinates, Sigurdur Oli, whom readers have got to know in previous novels. In the early novels, there was Erlendur, Sigurdur Oli and Elinborg. However, we only catch a glimpse of Elinborg for she is in charge of another investigation. There are reminders of Erlendur and his absence. His daughter calls, looking for him. A strange derelict haunts the novel with a paper bag he wants to give to Erlendur. This derelict, Andres, has appeared in previous novels. Erlendur has been obsessed through previous novels with the death of his younger brother when they were children. They were lost in a snow storm. Erlendur let go of his brother’s hand and when rescuers came and found Erlendur, they never found his younger brother. Since then Erlendur has been obsessed with his brother’s death and has searched the heath for his remains at every opportunity. Erlendur is inclined to be morose and brooding. There is a line in the novel where a character mentions that Erlendur was interested in an area where there were some lakes. The possibility of his suicide lies behind all the activity in the novel. Black Skies stands up well as a novel in its own right. The main character, Sigurdur Oli, is an interesting character, one deeply flawed with serious limitations that cause him to make decisions that someone less flawed would avoid. In previous novels where he has been a secondary character, the reader has not seen much of his background. He’s married, he and his wife can’t have children, he likes to BBQ, he prefers American popular culture, he’s a snob, particularly about clothes (it’s a common Icelandic quality). In this novel, we get to see further into his life and character as we meet his domineering mother and his wimpy father. We also get a closer look at his values. He resents the Icelanders in Reykjavik who are living a high life, owning extravagant houses and expensive cars, all on credit as the economic boom accelerates. The crash has not yet happened. Greed and ambition abound and Sigurdur Oli wonders if he’s made the wrong decision in becoming a policeman. The people he’s investigating are hiring musical groups to play at parties in their homes. They have the best of everything. Once again, Indridason has fashioned a tightly structured novel with an intricate plot. The unravelling of the plot is interesting, the connections sometimes surprising, but equally interesting is the way in which the underbelly of Icelandic society is revealed. Everyone reading this novel, does so with at least some awareness of the boom and bust in Iceland, the Kreppa. The novel takes us into the seamy but common side of the financial fraud and manipulation that went on. Icelanders, in reality, place great emphasis on appearance and material success. They want nothing but the best. The best clothes, the best furniture, the best appliances, the best houses, the best cars, the best holidays. At the same time, there are those who do not get to participate in this rush to grab as much of the best as possible. There are the drunks, the street people, the drug dealers, the drug addicts, the senselessly violent, the sexually risky. In this novel Indridason manages to pull all these people together into an intricate plot that leads this reader of mystery novels to say buy this book, put it under the Christmas tree. These are the lazy days of summer. These are hammock days, days for lying on the Toronto couch (if you have one) at the beach and losing yourself in summer reading. If you are in Gimli, Manitoba, go to Tergesen’s bookstore and buy a murder mystery by Indridason. He’s Iceland’s best murder mystery writer. Not just Iceland’s, he’s one of the best. His novels are perfect, I’m at the beach, it’s hot out, I’ve got a cold drink, I want something to read, solutions. If you aren’t lucky enough to be in Gimli for the Gimli Film Festival this week, you can find Indidason’s novels in most bookstores. The quality paperback versions are out so you won’t mind getting sand among the pages. I’m a great fan of Indridason’s writing and his main character, Erlendur. Here’s what I had to say of Hypothermia in an earlier review. 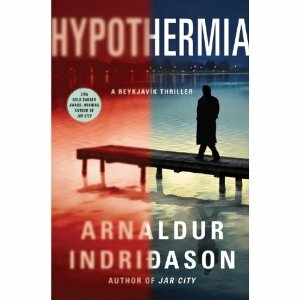 Hypothermia by Arnaldur Indridason kept me up last night. I haven’t stayed up reading until one in the morning for many years. On the ferry home from Salt Spring Island, I kept reading, and when I got home, I started a fire in the woodstove and continued to read. Except for making a cup of coffee, I did nothing else. I have a friend who says she is in love with Erlendur, the detective in this murder mystery. He is the main character in a number of Indridason’s novels. I understand. Erlendur is one of those unforgettable characters, as un-Jamesbondish as its possible to be, flawed, frustrating, obsessed. He was a terrible husband and not much of a father. His own life has been completely messed up by the loss of his brother in a blizzard in rural Iceland. Hypothermia isn’t a police procedure novel. The story begins with the suicide of a woman called Maria. Her death seems quite straight forward. There’s nothing to indicate that anything is amiss. Maria’s mother has died some time before. Maria has been depressed, unhappy, has her own obsession, a desire to know if there is life after death. Her husband is a respectable doctor. Something, though, doesn’t seem quite right and when one of Maria’s friends comes to Erlendur to tell him that Maria couldn’t possibly have committed suicide, he begins to ask questions. There’s no indication of a crime and official police investigation. However, Erlendur is like a dog with bone. He can’t quit chewing on it. The brilliance of Idridason’s writing lies in his ability to juggle plot elements. Along with Erlendur’s inquiries into an expanding circle of people connected to Maria, he is still bothered by the disappearance of a young woman and a young man. There seems to be no connection between them. The case of the young man is kept alive for Erlendur because the parents and after the mother’s death, the father’s coming to the office once a year and, gradually, every few years, to ask if there has been anything found of them. Idridason is highly skilled in that he plants tiny details in the story that at later stages have major implications. In the case of the miss young woman and man, he has a character describe the young woman’s car as being a bit of a wreck, the passenger door being stuck, the window handles not working. It seems one of those background details of no significance. By the time the novel is over, these details turn out to be critical to events. My friend who says she loves Erlendur also says that she only reads a set amount of pages each day because she doesn’t want to give up reading about him, his travails with his children and his ex-wife, his grief over his lost brother, his determination to follow obscure possibilities until they fit together like a jigsaw puzzle to reveal a whole picture. Put it under your Christmas tree. Even non-fans of murder mysteries will be intrigued by this complex personality.